Virginia Port Authority Executive Director Jerry Bridges was formally installed on Sept. 15 as the American Association of Port Authorities' (AAPA) chairman of the board for 2011-12. Mr. Bridges accepted his new chairmanship duties at a membership meeting in Seattle during which the entire slate of 2011-12 officers was inducted as part of AAPA's 100th Annual Convention. “Jerry Bridges, who has an impressive history of port and maritime industry experience, was elected chairman of the board in a March 2011 vote of AAPA's board of directors, representing port officials throughout the Western Hemisphere," said AAPA President and CEO Kurt Nagle. "Mr. Bridges has the knowledge, leadership skills, enthusiasm and industry respect to advance our association's mission of connecting port communities with the global marketplace, and we look forward to his chairmanship for the coming year." 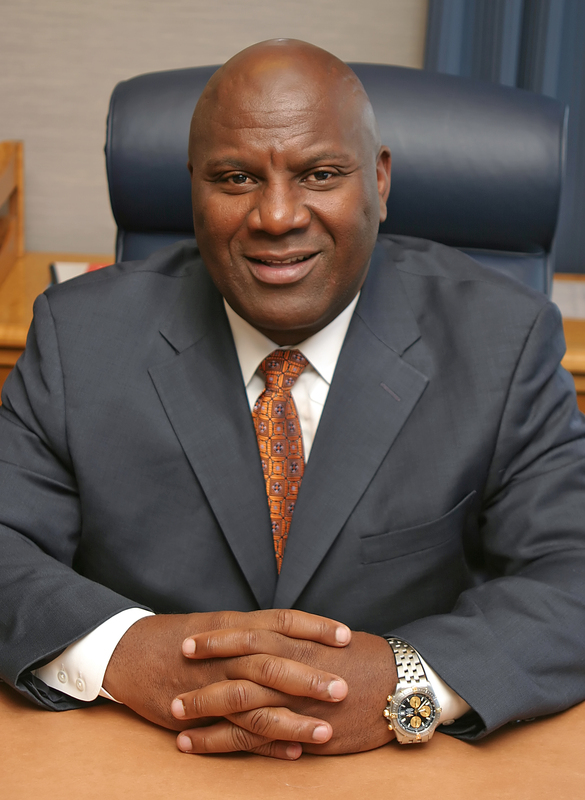 Mr. Bridges was previously executive director of the Port of Oakland and has held various operating positions with Marine Terminals Corporation, Sea Land Services and Roadway Express. In addition to his role as AAPA board chairman, Mr. Bridges will serve as AAPA's U.S. delegation chair for 2011-12. Other newly-installed U.S. delegation officers include Chair-Elect Adoph Ojard, who serves as executive director of the Duluth Seaway Port Authority; and Vice Chair Tay Yoshitani, who is executive director of the Port of Seattle. Representing AAPA's Canadian delegation, Prince Rupert (BC) Port Authority President and CEO Don Krusel was elected as the delegation's new chairman for the 2011-12 year. Gaétan Boivin, president and CEO of the Trois-Rivières Port Authority (PQ), became the Canadian delegation’s new chair-elect, and Bernie Dumas, president and CEO of the Nanaimo Port Authority (BC), is the delegation’s new vice chair. For the Caribbean delegation, Sean Matthew, general manager for the St. Lucia Air & Sea Ports Authority, in St. Lucia, West Indies, will serve as the 2011-12 chairman. For AAPA’s Latin American delegation, Jenaro Sánchez, a member of the board of directors of the Instituto Costarricense de Puertos del Pacífico (INCOP), in Puerto Caldera, Costa Rica, assumed the role of chairman, while Carlos de la Cerda, executive director for the Comisión Portuaria Nacional (CPN) in Guatemala City, Guatemala, was named chair-elect. C.P. Alejandro Couttolenc Villar, commercialization director for the Administración Portuaria Integral de Veracruz S.A. de C.V., in Veracruz, Mexico, was named vice chair. Also during the five-day convention (Sept. 11-15), AAPA presented its Distinguished Service Award to two past AAPA board chairmen: retiring Port of Long Beach Executive Director Richard Steinke and former Curaçao Ports Authority Managing Director Agustin Diaz. This prestigious honor recognizes a recipient’s efforts, achievements and involvement in the development and enrichment of the Western Hemisphere’s maritime and port industries, including the international cruise market. At the annual awards luncheon on Sept. 14, four individuals were honored for having successfully completed the association’s Profes­sional Port Manager (PPM®) program. AAPA’s original PPM® program was established by the asso­ciation in 1994 to encourage and promote professional standards in public port management. A complementary Latin American PPM® program, with curriculum in Spanish and programming focused on the needs of Latin American port executives, was introduced in 2007. Port of Benton (Wash.) Executive Director Scott Keller, graduating in the original PPM® program, received his certificate at AAPA’s Sept. 14 awards luncheon in Seattle. This year’s Latin American PPM® program graduates, who received their certificates in June at AAPA’s 20th Latin American Congress of Ports in Lima, Peru, are: Puerto del General San Martín (Pisco, Perú) Director de Concesión Ing. Roy Legoas Montejo; Cosorcio de Gestión del Puerto de Quequén (Argentina) Director de Planificatión Ing. Mario Goicoechea; and Consorcio de Gestión del Puerto de Quequén (Argentina) Director de Seguridad Ing. Jorge Ramón Raggio Villar.